Home » News & Blogs » Have local currencies got it wrong? Here in Tewkesbury I am very keen to introduce an alternative currency, but upon reflection I have no desire to name it the Tewkesbury Pound in the tradition of the Totnes Pound, the Stroud, Lewes or Brixton Pound & very soon now the Bristol Pound. It all started recently when my local Rotary Club made a donation to Tewkesbury Art Society (TAS) to fund prizes for a primary school painting competition. Tewkesbury has an art shop, which is pretty surprising considering that our High Street is made up predominantly of hairdressers, coffee & charity shops, plus a growing number of empty ones. Despite this fact TAS took the donation down the M50 to Ross on Wye & spent it there. This got me thinking that if we had made the donation in local currency they would have been compelled to spend it in Tewkesbury ensuring a double benefit, i.e. supporting a local charity AND a local business. That was until TAS explained to me how hard they had tried to spend the donation in Tewkesbury, but when they received such a poor level of service they felt they had no choice but to look elsewhere. The level of service they received in Ross was apparently exemplary, which begs the question, does local currency fly in the face of basic supply & demand economics? In a recent conversation with those responsible for one of the existing local pound it was pointed out to me that it is supported predominantly by people who would probably shop locally in independent businesses wherever possible anyway. As such the local currency is largely a badge of honour, symbolic in nature. Meanwhile the vast majority, blissfully unaware of the significance of the Transition movement continue to shop at Tescos, & B&Q & Costa Coffee because they refuse to consider the wider implications of their shopping patters beyond what they perceive to be the best shop or internet e-commerce site for their individual needs. What if TAS had wished to buy the prizes for the school children from Staples or Craft World? They were very grateful for the donation. Would they have been less so if we had attempted to dictate where they must spend it? This question & similar ones highlights for me the significance of the recent REconomy initiative within the wider context of the Transition movement. The rapid development of Transition has been nothing short of miraculous, but if it is to make genuine inroads into truly highlighting & facilitating a third option of sustainability over boom & bust then it is time to accept that we must compete in the real world in order for our message to resonate with enough people to really start to count. We may feel virtuous when we win an individual battle or as part of a small group, but what is the point if we win the odd battle, but ultimately loose the war? Some may be uncomfortable with such terminology, or may be happy to carry on indignantly until such time as they are able to say ‘I told you so’, but what about those of us who believe it is our moral duty to fight for a better world & that the war analogy is not entirely inappropriate. Which bring me back to the subject of local currency. Until recently I like so many had no idea how our monetary system operates, that banks literally have the right to create money from nothing when they lend. It’s repugnant, but it is so much more than that. It is economically, emotionally & spiritually cataclysmic, & is almost entirely responsible for the cliff edge we are all now teetering upon. It has taken decades, maybe centuries to manifest itself in all it’s gory detail, but only now is it’s true horror unfolding. The problem is that money created from nothing as interest bearing debt causes us to fight, both metaphorically & literally. The banks create the money, & then expect the interest, but paid from where? The answer can only be more borrowing & more debt, meaning more interest. Money is too scare to facilitate all the agreements to trade which we would like to enter into, & so we compete for what there is, in the process slowly but surely losing our innate capacity & desire to cooperate, to co-exist in harmony & to care for those less fortunate than ourselves. It’s dog eat dog, survival of the fittest. If the only way to perpetuate this monetary system is for the banks to lend more money into existence in order to enable previous debts plus interest to be re-paid, in the process creating more debt, requiring more interest, then all the time our collective total debt must grow until we reach the grotesque sums we hear quoted on the news which are truly beyond comprehension. It’s an enormous Ponzi scheme & we all know how they end. The problem is that monetary systems are not passive or benign. I say systems because there are choices. There are some who are lobbying to get our government to choose another from the one we have, but our politicians are so ensnared with those who profit that other than minor concessions, major route & branch reform is extremely unlikely to say the least. The question is can we afford to hold out hope, or should we adopt a more radical pro-active response? The significance of all of this is that to ignore, or mearly attempt to tinker with our monetary system within the wider context of Transition makes our efforts frankly futile. We may delay marginally the march toward unsustainability & all that this entails, but we will not prove the viability & indeed the desirability of genuine sustainability. So what can we do? To quote Thomas Jefferson”The issuing power should be taken from the banks & restored to the people to whom it properly belongs”. Do we need government permission to do that? The short answer must be no, otherwise the Totnes Pound etc. would not exist. 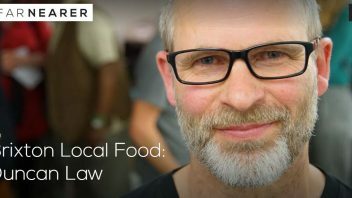 The reason local currencies such as they are make so little difference I would suggest however, is because they focus almost entirely upon where they can be spent whilst the majority of shoppers simply will not be restricted in this way. They may sympathise, but not enough to be supportive in any meaningful way. If they think Aldi offers better value & they are struggling to feed their family, they will shop at Aldi. The market mechanism is not necessarily a bad thing. It’s just that those with power & influence have skewed it in their favour. Our monetary system has played a huge part in that process. Profit is the God. Bigger & bigger businesses that can negotiate their costs down whilst hoovering up sales are far more attractive to the banks. Corporate buy outs, mergers & acquisitions make ever more money for the few, all the time crushing diversity & the chance for the small independent to compete in a fair & equitable arena. Put simply, the game is rigged. So where does this all leave Transition, REconomy & not least of all our consideration of alternative currency? I would say in a position which is far more profound that we have perhaps realised thus far. REconomy especially represents a quantum leap forward as it signifies our acceptance that we must compete for what we believe in, but not as some fringe protest movement but right where it matters. In simple terms we must beat them at their own game, on their turf. Whilst the FSB & chambers of commerce profess to represent independent businesses, what in actual fact they promote is business as an anachronism, where profit & self-interest is the only mantra. REconomy has the potential to develop into something unique that can champion a new kind of business, educated & aware of the significance of the triple bottom line, the three P’s of profit, people & the planet. We have it within our grasp to level the playing field so that once again all the benefits of a strong diverse independent sector with a genuine awareness of its contribution to its community can once again thrive & prosper. In order for this to happen we need above all else joined up thinking. Encouraging & supporting individual projects around the country & around the world has served Transition well, but if we wish to lead the commercial sector toward sustainability as it’s primary focus we must develop a coordinated plan of action designed to fuse commerce & community so that once again they become interdependent & reliant upon each other in a healthy symbiotic functioning manner for the benefit of all, as opposed to parasitic where business slowly but surely kills community. By working together I believe strongly that we can do this, primarily because I know that the majority support us. The corporate & banking world that dominates our lives have manipulated & controlled us for long enough, & most people feel that, especially when a few home truths are explained to them. The banking system is at the heart of this. As Henry Ford said, “If people understood money there would be a revolution in the morning”. Revolution is rarely less than bloody. Far better that we instigate an irresistible evolution. I look forward to seeing the conversation develop as REconomy starts to fulfil its potential & indeed it’s responsibility, but here are just a few of my ideas to cogitate upon. First a genuinely alternative, not complementary monetary system is fundamental. It cannot be based upon debt. Here in Tewkesbury we have established a ring fenced community fund that has so far donated £800 to good causes. The fund is largely business lead to date, but it is now starting to resonate with & spill out into the wider community. At the moment it’s a drop in the ocean, but there is no reason once people start to understand its significance that it could not grow massively. My question is, what if ever pound sterling was converted into local currency before it was donated? In such circumstances, not only would we be caring directly for the most needy & vulnerable in our community & funding community projects, we would be converting every pound given from debt based to gift based, in the process stimulating our local economy in a very direct manner. What if our neighbouring communities started to do the same? Collectively our joint efforts would represent a completely new paragym of money creation. I would then advocate a concerted campaign to get the currency accepted everywhere, yes, including Tescos or B&Q, or any other chain or superstore. The point is this currency is designed to be spent & to circulate. Tescos would be compelled to find ways to spend it as it is intended, as a medium of exchange, not to horde it until such time as they are ready to open yet another store, or send it back to head office to pay bonuses to their executives whilst the majority of their staff struggle on a subsistence wage. Perhaps they might like to pay them a bonus in community currency! This approach could ultimately create a currency accepted from one end of the country to the other. The emphasise would not be where it can be spent, but where it was created. In fact I would advocate writing on each note. ‘Community Currency, ethical money’. ‘Created from the kindness of the people of Tewkesbury’, or Totnes or Stroud etc. or whatever the case might be. The only competitive element would be to see which community is most generous. A note gifted into existence in Totnes, initially used to fund a local cause, but which eventually turned up in a Tewkesbury till would not in my opinion be a bad thing, in fact on the contrary as it would confirm that it is serving the purpose for which it was intended. It would be money serving us, as opposed to debt based money that serves the banks. There is another aspect to this, perhaps just as significant. If we are transferring sterling into our community currency, the sterling remains in the bank ostensibly to under-write our currency But is sterling any more reliable than our own?. Is there anything behind sterling? The fractional reserve system has long since resulted in that not being the case. Can we not therefore move away from anything to do with debt based interest bearing money? Can we not under-write our own currency by investing the sterling principal wisely in community assets? By definition they would not remain liquid, but could in actual fact end up being much more valuable than money kept as sterling, eroded by inflation on deposit. In such a circumstance we will have effectively turned our debt based interest bearing money in to gift based money, paying interest, not charging it. We will have turned our existing system completely on its head. What about if in order to encourage our community charitable giving we issued credits for every donation that represented a stakeholder interest in our community assets, specifically I am thinking energy production projects?. Our goal could be to make each community energy self reliant. We could also fund credit unions, local shop units with affordable rents for new ventures that meet certain criteria that benefit the community. The potential is for each town to become a microcosm of self reliance, but interlinked with its neighbouring towns & cities right across the country with a new focus of sustainability, slowly but surely extricating itself from dependency upon corporate monsters, ravenous banks & fossil fuels. All the while Transition & REconomy could be providing guidance & support through a network of representatives who share a desire for a different kind of economic system where we once again have time to stop & talk & appreciate the gift of life deprogrammed from the fixation of how much we can accumulate if we are lucky, or where the next meal will come from if we are not. Simon thanks for this investigation, I believe that the current money system is one of the root causes of the global crisis we seek to address. It is not sound to ‘gift’ a (monetary) currency into existence. The function of a (monetary) currency is to facilitate exchange in a marketplace, and so the quantity of currency in circulation should be somehow connected to the availability of goods and service in that marketplace. So when I read ‘Created from the Kindness of the people of Tewksbury’ I think ‘inflation’. Because I know that in Tewksbury kindness is abundant and immeasurable, while local production has mostly been exported to China. Indeed, if money could be backed by kindness, perhaps we wouldn’t need money at all. Second, you are not at all clear on what you think should be the relationship between local and national monies. In my view, issuing a local pound, exchangeable for a commercial-credit pound, even with an exchange fee, is not to issue a complementary currency at all – it is merely an attempt to trap national money in the economy, and all the transition towns which have attempted this have failed, which is what I thought the title of this article was implying. For a money project to be serious, in my view, more courage is needed to issue and accept new credit, guaranteed not by a number in a bank account, but by the producers, traders and consumers in a community, or by a tangible asset such as land or an energy production facility. You ask “Does local currency fly in the face of basic supply & demand economics?”. I would like to point out that yes, too many of our needs are met by production in too far off places, and too few of us value local production when we make our purchasing decisions. It is critical that the transition process restore local production, even though we know it will mean the cost to consumers goes up in the short term. And local money means nothing without local production. Here in Powell River, BC we are using a community currency model developed by Michael Linton (inventor of LETS) called Community Way, which addresses many of the issues raised in the article and the first comment. The local money is issued by local businesses and immediately donated to local non-profits. It’s backed by the promise of the issuing businesses to take it back in payment for their goods and services, not by national currency. 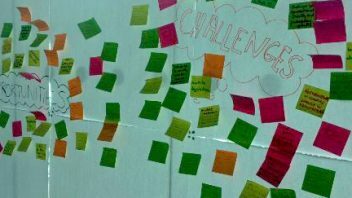 As project leader I’m finding that this reaches out far wider than the usual green/eco folks – from traditional small business supporters to Occupiers, everyone has their own reasons for getting involved. An interesting article and debate to open up. My sense is that the local Transition currencies were as much about showing people how money is spent impacts the community as an experiment, rather than expecting to really take over. The question I often raise is ‘what is the underlying story of how things will play out’ that you/we carry? Will there be a gradual transition or will this be punctuated by sudden collapse? Establishing a local currency could be of benefit in both situations. In Argentina in 2001 when the economy collapsed and the banks closed, people took up the various barter and voucher systems that were already up and running. A local currency could play that role. Matthew commented that “if money could be backed by kindness, perhaps we wouldn’t need money at all.” Now there is an interesting thought! I think questions around objectives and shifting expectations are important in this discussion. The original objectives are perhaps very different from current expectations or hopes for local currencies and then future possibilities are different again… We’re often gauging success agains different temporal frames. The Totnes Pound is an experiment. To pose the question “have we got it wrong?” implies that there’s a right and a wrong answer to these economic and social predicaments. Shane’s comments about objectives and time frame are really relevant. – get people used to a system that might need to be introduced quickly if there were a sudden economic downturn and sterling became scarce. You’ll notice that NOT on this list is the objective of transforming Totnes’ economy. For good reason – that’s an ambition beyond the reasonable. We printed 300 Totnes Pounds at the start of this process, and the next printing was 10,000, with about 7,500 currently in circulation. If we estimate the annual household income in this town to be around £70m, that means only one hundredth of a percent of the local economy is in Totnes Pounds. That’s infinitesimally small. I applaud the intention of trying lots of innovations as proposed in the article above and I hope we learn lots from it. And I totally agree that interweaving our local money experiments with REconomy is a crucial piece of the puzzle too, and there are probably dozens of ways that could happen and that’ll need a lot of experimentation in lots of places. Amid all those positives, I’m still left with a sense of annoyance at the tone of the title of this article. It feels to me like a cheap false dichotomy borne of an “either/or” mentality rather than a “both/and” way of thinking. How much more enticing it would have been to me to see something like “What we’ve learned from the local currency experiments so far and here’s how we’re going to innovate further”. In defence of Simon’s choice of title, it is a question that i’ve heard a few times. But think this is because of increased expectations of local currencies over time, which in turn should be said is down to the early day success of local currencies against Ben’s second objective “make people feel brave and empowered”. I know that before the Totnes pound came out, i like many, had no expectation for such currencies and didn’t even no of the legality of setting up a currency. My courage was based on reading historic tales of the powers that be quashing earlier attempts. In criticism of the title it looks to be an old school technique to spark debate (which may have worked) as the majority of the post is about the gift based supply of currencies, which is an interesting addition that Kevin has identified, is being followed by people serious in this sphere, like the founder of LETS. I think a really useful title would have been “what is the next phase for local currencies”. As this is a conversation that needs to be had. Where new and ambitious objectives can be set against ever growing levels of expectation and courage to try different things. We at REconomy are having a session at the Transition Conference on “how to” set up a local currency co-hosted by people from the Brixton Pound and Gary Alexander (Transition Network Trustee) and attended by a whole bunch of experienced people. I am still not sure if we’ve got the balance right on this session as the “what next” question kind of predicates the “how to”. Perhaps we actually need a more strategic discussion? Unfortunately we don’t have time for both but do have demand for both…. starting a local currency is something I hear from time to time here. The question I usually reply with is ‘why?’ That seems to be an important question – unless you know why you are doing it and those reasons are clear then it is easy for others to suggest that ‘you got it wrong’. As part of the discussion about ‘how’ to start a local currency, it would be good to include the ‘why’ as a starting point. Absolutely – why set up a complimentary currency (especially one that is linked to sterling)? I think think there are some other critical questions too: How will we communicate the ‘why’ and ensure that the media and local community get that it is for the reasons Ben outlines and not because we’re about to re-invent or re-invigorate the local economy. And further; Is this really the best use of our group’s time? Personally I think that the answer to my second question will invariably be ‘no’ (with the possible exception of outlier communities like Stroud, Totnes and Lewis and/or bigger population centres like Brixton and Bristol – though even then I’m far from convinced that this is time and money well spent). Isn’t it better to just to assume that in any sort of crisis people will sort out a means of exchange (because history shows us that this always happens) and begin growing the local gift economy by celebrating what already happens and encouraging more – not only is this cost effective and immediately beneficial, but it will inevitable compliment other work and activities and if communicated well will have as much (meaningful) local impact as a new currency. The reason that local currencies tend to fail is that because they can never replace a national currency so long as the central government only allows payment of taxes in the national currency. So much of the focus here is on banks creating money out of debt. While this is partly true, those currencies would be worthless if the government did not give them value by requiring citizens to pay taxes in that denomination. Technically the government, if persuaded, could accept local currencies for paying federal taxes which would go a long way in legitimizing local currencies. I almost get the feeling here that folks are wanting a currency that is pegged to gold or something else, rather than a fiat currency. Going back to a gold standard or something like it is not the answer. A fiat currency can work really well if we could just understand how it could positively influence our world. For anyone reading this please check out Modern Monetary Theory stuff on the web. An economist from down under named Bill Mitchell has done exceptional work at showing how a government controlled fiat currency could produce full employment and how there is no worry of national insolvency if your country still has a sovereign currency (sorry EU, but Canada, US, UK, Japan and Australia – you should all be thankful). I want to see real transition just as much as anyone else but let’s be sure about how the monetary system actually works before we propose things that may have undesired consequences. I’m a bit late to this thread but I’d like to say that Mike hits the nail on the head when he says that “[local currencies] can never replace a national currency so long as the central government only allows payment of taxes in the national currency” and that “[fiat] currencies would be worthless if the government did not give them value by requiring citizens to pay taxes in that denomination”. In other words, it’s false to say that fiat currencies are not backed by anything, rather they are backed by millions of workers paying tax. Governments thereby wield enormous power through taxation as this prevents factions from breaking away and running their own affairs. This is fine as long as the government truly represents the interests of the populace. If however, the government represents corporations and big banks then it is a kind of fascism which will not hesitate to tighten the noose ever further to ensure its own survival. Local currencies DO NOT TRY to replace national currencies, they are complementary, parallel, they have a different job to do by placing a geographical boundary around usability of the currency. It is not relevant to talk about paying national taxes with local currency. Much more relevant are local taxes and business rates and this is already possible in Vorarlberg, Austria and in Bristol, UK. The ‘real transition’ you propose may well come from a powerful combination of national monetary reform on the lines proposed by the Positive Money Campaign PLUS a thriving network of viable regional currencies. Neither solution alone can provide for all our needs. In Greece where the national economy is failing, local commmunities have resorted to barter. A local Drachma could faciliate transfer of goods and services and would isolate the community from external pressure. The supermarket model is failing because it has become too universal and provides too much. This means that the retailing part of the community it serves from its fringes is curtailed and the spending power of the community is reduced. As distribution and import transportation costs soar, localisation will triumph and the local currencies will take over. Fascinating conversation and different points of view. I agree that the key is WHY you are creating a local currency. Personally, after spending thousands of hours (along with other people) over the last year to get our project under way, I’m glad we ARE aiming to make a difference in our local economy, cuz it makes the time invested seem much more worthwhile. Also of interest is the many different models for doing this. Many folks only seem aware of one or two if they are aware of local currencies at all, but there are dozens. For example, two communities here in BC, Canada, Salt Spring Island and Chemainus, have very successful currencies but we decided not to use their model, because our community situation and objectives are very different from ours. They have smaller populations and much bigger tourist volumes, and their currencies are CN$-backed and geared to tourists buying them and taking them away as souvenirs. One of our objectives is to increase the amount of money circulating locally – so backing with national currency (which means taking it out of circulation and socking it away in the bank) – would make no sense for us. Hello all. Thank you for taking the time to comment on my article. I genuinely hope to add to the portfolio of local currencies & am sincerely grateful for their inspiration. Apologies to Ben for the crass choice of title. May I pick up on something you said, for anyone to comment. You say that the Totnes Pound has a number of objectives, one of which is to give others an experimental platform upon which to build. Hypothetically, if Totnes, or any community for that matter, was adding substantially to the money supply with a local currency on an on-going monthly basis, what would be the effect of that do we suppose? Simon, the Totnes Pound does not add to the local money supply, since there is a pound sterling ‘in’ the bank for every Totnes pound in circulation. It does however capitalise whatever (usually local) savings institution holds the Sterling. Cheers Matthew. Yes I understand that, but it does add to the money supply of Totnes Pounds, with all the supposed benefits. What if the supply of Totnes Pounds was expanded dramatically? It depends how. The last time sterling was expanded dramatically, nothing happened because banks used it to shore up their balance sheets. The time before that it was a house price bubble. If Dave Fishwick decided to open a Totnes Pounds bank, you would see a capitalisation of local communities. If the Olympics happened in Totnes then most of the notes would leave as souvenirs. So I don’t understand your question. There are as many Totnes Pounds as the economy demands. If there was more localised credit than local spending opportunities, then shops would refuse to take it. If there was more local value creation, then the demand for local credit might increase. Perhaps a better question would be, what small business would plug a gap in the local economy a would enable local credit better to flow around. Ok . . . . how. 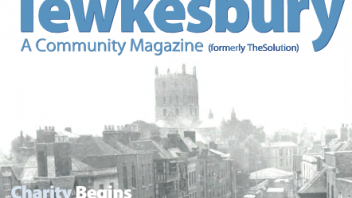 We have established what is effectively a local charity here in Tewkesbury. Any community could do the same. We look for where there is a need, & then try & address it via our local fund. It doesn’t matter what the need is just as long as we feel it’s important, & it’s local. So far we have written cheques to the value of £850, but this could grow dramatically, not least of all bearing in mind that the fund is built predominantly via regular commitments on standing order. My goal is to make the fund grow by incentivising contributors by making them stakeholders in their local community by investing the principal in community assets, predominantly community energy production projects. Meanwhile I wish to convert all contributions into our proposed alternative currency BEFORE donating it. What this effectively does is double the value of the contributions, but via gift based money, not debt based. It will in essence be a mechanism that converts sterling from one system to the other. I will then make sure businesses locally will accept it so that the charities & local causes have appropriate places to purchase whatever it is they may require to address their needs. As such we are feeding liquidity into the system in a way that government efforts are failing to achieve by addressing initially where the need is most pressing. It will directly address the wellness issue of a community that Fiona Ward highlighted on her recent REconomy tour as a fundamental goal of the initiative. Thereafter of course the alternative currency will be in the system free to circulate as intended with all the associated benefits. It’s a bottom up, effective, community grass roots response to it’s own challenges as opposed to a top down macro government approach that arguably only adds to the problem. It is entirely conceivable in this way that we could end up making donations in ‘our’ money to local good causes to the tune of £10 000 + per month, every month. I watched a Youtube video just yesterday where a profound statement was made, specifically that we do not have a monetary system at all, but rather we have a currency system because money has to be a store of value. Our currency has no real value except for the faith that we place in it. If that goes there is nothing else. What this means is backing up local currency with sterling will make it as worthless as sterling if that system crashes, or is simply eroded over time, which is how our own money is insidiously robbed from us. This is why I prefer to describe what I have in mind as an alternative as opposed to complementary system. It could stand alone & indeed prosper if sterling where to crash. Alternatively if embraced widely enough it could come to be preferred & trusted more than sterling because of the genuine store of value behind it. Investing a growing principal in community assets that accrue in value will achieve the negative interest that Charles Eisenstein referees to in Sacred Economics. It will reverse the negative effects of usury as well as deliver a huge social dividend. I think it will work, but I’m waiting for someone to point out the flaw in it. If there is one I would prefer to know sooner rather than later. But other than the challenge of making it happen, what if it isn’t flawed? Simon your currency design description isn’t clear to me, and I suspect it is flawed. When you ‘convert’ sterling to local, What does that mean if you are not issuing local backed by sterling? How do you ‘convert’ debt into a gift? How can you ‘make sure’ businesses will accept it? I think its the other way around – you need to encourage local value creation with a local supply chain. We understand that money is a vital and malfunctioning tool, but we must be aware that money is soft, and the broken economy is hard. Yes we need new money, for many reasons, but pushing local money into a globalised economy does not change any of the fundamentals. Simon, i really hope you get some responses here. This site was set up to help people…build their new local economy. Matt, thanks for you continued contribution…. if we could try to find solutions through this thread it means that the future readers can benefit too. If my idea is flawed I’d really like to establish that definitively sooner rather than later to save wasting my time & others, but as yet nothing has been said to suggest to me that it is. How do I reach the level of clarity that I obviously need? The first challenge seems to be conveying my concept, so let’s try again. 1.) We have a charity already established & already receiving donations. The charity is in essence Tewkesbury. First we attract the donations, then we write cheques for local good causes, endeavouring to make the decisions on a collaborative community basis. The donations presumably would qualify as part of a gift economy. 2.) I want to make these donations in local currency leaving the principal in the bank. If the principal was a gift, even though in debt based money, am I not on some level converting that money into gift based as a consequence of this process?. 3.) The charitable donations are largely from businesses who support our local marketing efforts on their behalf http://www.acommunity.co.uk As part of that effort establishing a community currency will help them further. They will accept it because I will get it accepted widely, which is all money is, i.e. an agreement between two parties. 4.) Once a charity spends the donation with a local business it is in the system & free to circulate. 5.) I aim to incentives contributors to the charitable fund by issuing them with credits that denote a stakeholder interest in their community. I then plan to invest the growing principal in community assets designed to generate a return to be distributed amongst the aforementioned stakeholders. Community energy projects are the primary intention, but it could be community buildings, food projects etc. just as long as there is a ROI. NB. This is my primary concern, that there is some statutory regulation that insists that all alternative money must be backed 100% by sterling, even though ironically nothing backs sterling. With the above model all money is backed by a real store of value via a community asset portfolio. I could start doing this tomorrow if I had suitably designed notes to start donating. Please someone tell me the flaw so I can stop wondering. Even better can someone tell me that it is sound so I can get on with it. So is the charity currently receiving donations and redistributing them in national currency? Has the already-existing charity agreed to receive donations in local money? Have their client charities who receive money from them, agreed to take local money? From experience, I can tell you that there’s a bit of a chicken and egg situation here. Many businesses will not come on board until they’ve seen that it’s working. Getting that first group of early adopters can be hard. Key here is getting enough of the right kind of businesses on board that charities can reasonably and usefully spend their local currency donations. From a charity group point of view, receiving a donation in local money INSTEAD OF national is a downside not an upside because they will find it harder to spend, and there are probably things they need to buy that are simply not available for local money. If you can make the local money donations AS WELL AS, not INSTEAD OF, it makes them much more useful. Again, you’ll need to have yet more different businesses signed up where the businesses taking in the local money, can spend it again. Especially if you get any high volume businesses involved, this can be a real issue – they end up with more than they can possibly spend. Can’t quite see how this would work. Can you go through the process step by step? Doesn’t this bring you back around to needing a growth-based economy in order to provide returns? Are there any UK regulations at all around alternative currencies? There’s certainly no requirement like this in N America. Thanks Simon this description is helpful, and the model is not fundamentally flawed. I like that you emphasise that the impact is had with the Sterling in the bank, more than with the circulating notes. I’ve heard no TT project boasting about how its money is working. However paragraph 5 does beg one question. You are by no means obliged to back your CC 1:1 with Sterling. You can leverage it (issue more than you have backed) like banks do. However when you have more money in circulation than you can redeem, which is the beginning of a very slippery slope, and may be a hard sell to your users. There’s no need to print notes to get started, I can give you an open source community accounting system. That’s what I do. Now we are getting somewhere. If there is no fundamental flaw (predominantly the aspect of spending the principal) I can really start to forge ahead. The other thing that concerned/concerns me is the aspect of forged notes. I’m not sure what an open source community accounting system is, but it sounds like it may be the answer, or at least a partial answer. I would like some printed notes however, because I believe it will help with the marketing, plus it’s quick. Also, if I get my printer to enter into the system, I can pay him in community currency. No wonder bankers got so rich ! Matthew, now that you are starting to understand my concept, would you describe my money as gift based & agree in essence that I have converted it from debt based?. I’d love to think so, because it would be a definite step toward a gift based economy. You mention the prospect of my own fractional reserve system, but quite rightly point out the dangers there. My goal is a ratio of less than 1:1 as a consequence of investing in assets of real value, negative interest if you will. That would turn debt based interest bearing money 180 degrees on it’s head. If we have hypothetically £100 000 as principal, having injected £100 000 in to the local economy via our community currency, initially by supporting the most pressing causes in our town, & we buy a local shop for example as a community asset held in trust for the community & then we rent it out at below commercial rate to a new business that is of real value to the community, the asset retains it’s value & probably accrues in value against sterling, plus it provides an income that can be paid out to our stake holders. Meanwhile sterling is eroded by inflation at best & may crash entirely at worst. In this way, periodically we could get a market appraisal of our portfolio which would undoubtedly be more than the alternative currency fed into circulation. Then maybe we could feed more into circulation for a 1:1 parity. More than that simply would not be necessary. Our motivation is not greed, but the sustainable management of our communities economy. That’s something that could duplicate in neighbouring communities, but each one would be managed at a very local level for the benefit of all. This approach could give a commercial edge to local independent businesses so they can compete with chains & majors who have all sorts of unfair advantages otherwise. 1.) I need to understand open source community accounting. 2.) I need advice on designing & printing community money, including maximising security features. Printed notes are perceived to be important for branding, but you have a whole design process to go through, traditionally a local competition, then notes can cost quite a bit, depending on security features. I don’t know anything about this process. A pro note designer just wrote me though, and I put a link on the ccmag.net facebook page. I don’t conceive of a ‘gift-based’ money. There is equity money and debt money. I think yours would be equity-based, even if that equity is other people’s debt. If your capital asset is yielding rent in hard money, then it should go to increasing the capital. If it is yielding rent in local money, it should be spent back into circulation. Please consider, instead of initial donations, selling local investment bonds, although that would require a lawyer. Things are moving on a pace now. Sorry Kevin, I missed your post whilst working on a response to Matthew. (meanwhie another one from Matthew to consider). In answer to your first question for some unfathomable reason I have not looked at your site yet, despite thinking that I must when I read your first post. I will definitely rectify that next. 1.) Yes we are receiving & donating in national currency. Making those donations in local currency is as yet simply an idea, but I believe I have the wherewithal to make that viable. Local charities will happily take it I’m sure just as long as they can spend it on things they need. I can go out & get businesses to accept it. This is no different to what existing local currencies have had to do. It’s the hard part for sure, but all doable. 2.) The account is a Rotary account, but I want a specific community trust account. Meanwhile the Rotary account is serving it’s purpose. Payments received are on standing order, predominantly so far from local businesses. This is a requirement for them to feature on our website http://www.acommunity.co.uk. They also pay a membership fee, which is how we make a living. I now have ordinary members of the public contributing because they are starting to get the concept. My hope is that this will accelerates dramatically, especially when I introduce the stakeholder aspect. 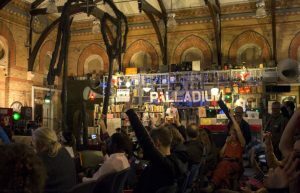 Read page 2 of our newsletter for a better idea http://www.acommunity.co.uk/magazine/v6/ Those who contribute are welcome to suggest worthy recipients for donations from the fund, but the goal is to make this as an inclusive engaging process as possible. If we had £10 000 + to spend every month, that would really get the town talking, both to us & to each other. The idea is to identify both local recipients & local businesses who will accept the local money. 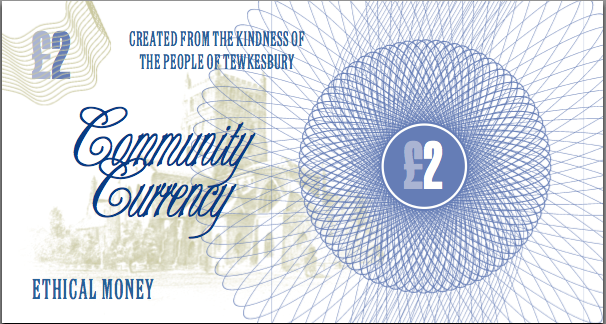 If it is money that has been ‘Created from the kindness of the people of Tewkesbury’ (see first draft design of note at top of page), then why would they not accept it?. It’s whole purpose is to give it away! Donations will be made to an ever growing range of recipients. The only qualification is that they are helping a local cause which will involve making a local purchase with a business that will accept local currency. All the while of course the principal remains un-spent & accruing in the account until such time as we identify our first purchase that will benefit the entire community, but specifically those who are contributing to the charitable account who have become stakeholders in our investments in the process. We will print say £10 000 of community currency to start with & distribute it as we identify worthy recipients in direct proportion to what we have in the account in national money. With Matthews help I hope to explore other avenues of distribution. 3.) I appreciate that getting this off the ground will be hard, but I’m hoping my existing business & the relationships I have established will help. 4.) Again, all part of the challenge. Difficult, but not impossible. Again, I’m hoping the supply side emphasis will help. If we are feeding thousands in to the system via charitable donations in the first place, businesses will want a part of that. There’s real ambition here. My goal is an alternative currency, not complementary as mentioned previously. I’m hoping to start initiatives on a regional basis where currency created in one town is accepted in another & vice versa. I’m also hoping to get it accepted by the council & chain stores & majors. That may seem contrary to the localism agenda, but the point is it has to be spent locally, so if a supermarket for example agrees to take it they have to find a way to spend it locally. It cannot leave the economy, which is more the problem than where it is spent. Same applies to the charity recipients. If it is money (alternative) that they would not have had otherwise, they are not likely to be ungrateful. It will encourage them to explore things that they need locally. Meanwhile they will still have their existing income streams in national currency to spend otherwise. This is even a leaver to bring on board new recipients & new businesses. If I say to a business we want to give X to this charity because they need what you sell, but it will be in this local currency, is that ok, by the way here is a list of local businesses where you can then spend it, do you think they might join the scheme? 5.) Very early days on this part, but I will explain the theory as best I can, but this part will need a lot more work. In the first place the charitable donation is exactly that. Collectively those who support it should see a significant improvement in their community as we invest it locally, but they will need to understand that this is their only guaranteed reward. Increasingly others will spread the message, but I am prepared to go door to door initially to get the ball really rolling. I will explain however, the concept of them becoming a community stakeholder as a bonus. We will set up a database to track those contributing & keep them informed via bulk email & our website on our progress & projects under consideration. as the principal grows we will research our first investment. I am personally very keen on renewable energy projects where a quantifiable ROI can be identified. We will then share this amongst those who are supporting the charity. It’s a very holistic model I feel, but once again I welcome scrutiny. Once it really starts to mature the potential is energy self sufficiency, plus the town owning a huge community portfolio where it’s only purpose is to sustain the community in a way that we all aspire to see happen. You question if the idea will not need a growth based economy in order to provide returns. I would say the joy is the degree of control that will be afforded to Tewkesbury, & any other town indeed if it works. Growth will come from encouraging more & more in the town to support the charity. If a small place like Tewkesbury had say £50 000 a month to spend on itself (only 5000 adults contributing £10 a month) would we struggle to spend that?. Could we ensure that the wellness in our community is provider for in a way that our welfare state fails to do?. Could we retro fit every property, & build energy projects to provide free energy for all, could we buy our own high street & insist that all our local businesses are symbiotic not parasitic?. Controlling undesirable growth if that transpires would be a question of controlling the money supply, which is something each community will be able to do, which brings me right back to the Thomas Jefferson quote as part of my original article. Your last question continues to leave me a little uneasy despite reassurances from Matthew. I have to say if nothing else, if we are not legally allowed to spend the principal on real assets our government would have a tough time explaining that whilst the sterling & indeed dollar bubble could burst any day. I think you have a good model Simon and it should be very interesting to watch what happens. Just don’t underestimate the time, people and effort needed to get something like this (beyond the valuable early projects “print money and see what happens” model) off the ground. It has taken us 6 volunteers and a full year to get to the point of a limited pre-launch – and we have not been hanging around twiddling our thumbs 🙂 You don’t want to get people interested and then have it fizzle out for lack of resources… that will make it harder to get something going on the next try. Best of luck – hope to see you at the Reconomy day, I will be in the UK visiting my elderly Mum in September and being able to attend the conference is a very happy side-effect! YOU have Learned absoultely NOTHING from local currency! Community currency, alternative money, digital cash etc etc it don’t matter what you adopt……. its success or failure once in existence, is not really based on its architecture, system, how it enters the economy, its velocity, supply or economist soothsayers. You guys will no doubt, unless you are a bunch of bankers, come up with a credible method. But I suggest however fantastic it is, a favourable outcome lies more in factors not really discussed here. But local currency has enough inherient characteristics to ensure success, however you tinker with it. And if you’re serious about introducing local money just copy somebody else… its all been done before, including all the stuff above…..it will save a lot of time, effort and discussion. The other stuff Sterling et al does today will normally be stripped out of local currency – hence the natural alignment with transition and community and your starter for 10 points. >Surveys to seek the feelings of locals and shopkeepers, campaigns via social media to gain support, info leaflets, actual buy-in amounts, pledged monetry exchange or take-up etc etc needs to be done. Willingness to accept the currency is contingent on traders & enterprises being able to spend it. It comes down to the understanding that a local currency can only be used to the extent that value is created locally. I can sell eggs from garden in 100% local money, but I’ll be lucky to pay 5% local for made-in-china stuff. So the money is key, but a community can only take control of its money to the extent that it meets its needs from within. WOW . . . now I empathise with Ben, & understand his point, which is that any initiative which draws attention to the iniquities of our government controlled debt based, economic growth dependent monetary system is a good thing. I will take solace from that in the process of getting it wrong. What is great about this thread mostly is the prospect of others taking an interest in our efforts & wanting us to succeed, to whatever degree that may be. That alone is contrary to our dog eat dog economy where competitiveness is lauded as the route to success, where success at someone else’s expense is accepted as a given & even applauded. If Kevin or Matthew can take anything from my efforts & apply it to theirs, then I am very happy with that prospect. Meantime reading all about their efforts cannot help but assist mine. With that in mind we believe we have identified our printed money designer. We will definitely wish to explore other distribution options, but see the printed option as the fastest route to market. Any help from those who have gone before us would be much appreciated, i.e. Totnes, Stroud, Lewes, Brixton, & soon Bristol. Are there any others?. We are also endeavouring to identify potential strategic partners to help us ensure that our principal invested in community assets is done so wisely & intelligently. Risk will not be the name of the game. Equally any advice in this area will be most welcome. I should say in response to Money’s post, marketing is our focus. Getting the whole thing off the ground does have a game plan. Kevin has highlighted the challenge. I hope we are up to it. The more help we can galvanise the better. AS yet we have no access to PhD students & have yet to explore the power of volunteers who believe in the importance of this stuff. Put simply, it’s very early days for us, but we are determined to give it our best shot. Thank you Shane. You have quietly put the palm of your hand behind this. Encouraging me to write the original article that started this thread has been very valuable. The fact that you are monitoring our progress & continue to make suggestions & point us in the right direction continues to help. Hello everyone, just caught up with this conversation. I very much hope you will all read our book “People Money – the Promise of Regional Currencies” published by Triarchy Press in July 2012 and learn from the sixteen profiles of leading local currency systems from around the world, which are based on interviews with local organisers. We all have a lot to learn. Why a pound anyway. In Boston New England they call it the Bostan Bean. Here on the North Coast of Ayshire I am promating the local currency as the New Bawbee. Call it what you want. On the Ayrshire North I am looking at setting up a local currency which for now I will call a new Bawbee. Unlike the Pound sterling based on debt I would like to base it not on Gold but on the energy of the Future, Hydrogen. I intend to tackle this on several fronts. The formation of a local community energy company. The production of Hydrogen in three ways. A.) Utilizing the University of Strathclyde Wind farm Hydrogen Buffering to electrolyser fuel cell model. B.) Utilizing the new tidal generators especially those that can be used locally i.e. mounted on a converted fishing boat and connected to an electrolyser like the CorMat tethered tidal turbine. C.) A local Anaerobic Digester with a fuel cell. With the main input of household waste and Marine Bio fuel. Seaweed see BioMara and the 4,000 year history of seaweed use in Scotland, Wales and Ireland. see there just completed 4 year multi million Euro study on Marine Bio fuel. Natural gas sold and injected into the National Gas Grid. Electricity sold to the National Grid. Hydrogen sales from a Replenishment Station. What I am thinking would I have to hold in storage the amount of hydrogen that the local currency is worth. Would this vary on the storage. Would the rate of exchange hydrogen/pound sterling/local currency change quickly and rapidly. I have applied under the WRAP system for inclusion in the 7th of January 2nd Anaerobic Digester funding round. One critical factor often overlooked in these kind of conversations: the design *process*. It is never about the currency, that is simply a means to an end. It is about matching underused assets to unmet needs. Community development process + currency design = sustainable system. OWNERSHIP – get community buy-in from all sectors: individuals, businesses, voluntary groups AND local government. REVIEW – build in monitoring and evaluation to ensure you are achieving your stated goals. Make sure that you do a comprehensive mapping of needs and assets of all players, individuals, businesses, voluntary groups AND local government. Publish the needs and assets on a publicly available website map. This builds up a buzz and anticipation well before launch. Set a critical mass of each player to be signed up to avoid launching without viable numbers and wasting energy after launch, a key cause of failure.